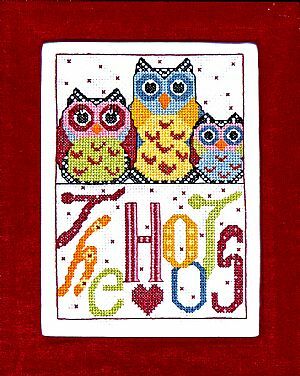 This is such an eye-catching autumn piece, quick to stitch and fun to display. The owl residing in a tree hollow surrounded by autumn leaves is named Major Hoot. "Major" because he is an important (well, he is the star of the piece) and large (2"H X 1�"W) charm. He has had some work done on his eyes to enhance his piercing stare. Those are�cosmic�crystals looking at you! Cashel �Linen with DMC. 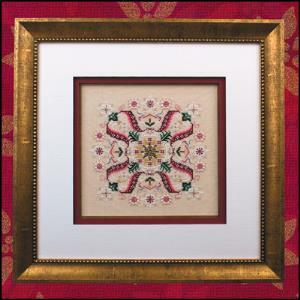 The design area measures 3" X 3" on 28 count.�You must use 28 count for the charm to fit.